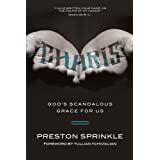 Summary: Charis is Preston’s most recent book and flows from the his half dozen years teaching the Old Testament to college students. You might think that would produce a book about judgment – but no way. He shows how every character, every event, every single page from the Old Testament bleeds with grace. If you were going to buy one book by Preston, this is the one. It’s accessible, engaging, down to earth, and it’ll reshape how you think about grace and God’s love for you–guaranteed! Check out the Amazon reviews if you still need to be convinced. 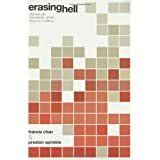 Summary: With a humble respect for God’s Word, Francis Chan and Preston Sprinkle address the deepest questions you have about eternal destiny. They’ve asked the same questions. Like you, sometimes they just don’t want to believe in hell. But as they write, “We cannot afford to be wrong on this issue.” This is not a book about who is saying what. It’s a book about what God says. It’s not a book about impersonal theological issues. It’s a book about people who God loves. It’s not a book about arguments, doctrine, or being right. It’s a book about the character of God. Summary: Fight explores violence in the Bible and challenges us to live out Jesus’ call to non-violence. With prophetic relevance, New York Times bestselling author Preston Sprinkle tackles the controversy surrounding violence and grapples with surprising conclusions. Anyone who has struggled with the morality of violence will appreciate this convincing biblical guide. Summary: The Faith of Jesus Christ represents an attempt to grapple with one of the most perplexing problems in Pauline studies, namely that of the phrase pistis christou. Issues of considerable theological import hinge on how we interpret it (does it mean “faith in Christ” or “the faithfulness of Christ”? ). The topic is now well rehearsed in contemporary scholarship and this volume sheds new light on the question by presenting rigorous exegetical studies from both sides of the debate. It also brings creative new proposals to bear on the problem, and orients the discussion in the wider spectrum of historical, biblical, and systematic theology. 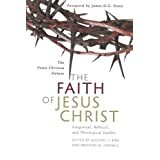 The Faith of Jesus Christ represents the most penetrating and comprehensive attempt to date to grapple with the significance of Jesus’ faithfulness and obedience for Christian salvation and the extent to which it is represented in key biblical texts. Summary: Ever since E. P. Sanders published Paul and Palestinian Judaism in 1977, students of Paul have been probing, weighing and debating the similarities and dissimilarities between the understandings of salvation in Judaism and in Paul. Do they really share a common notion of divine and human agency? Or do they differ at a deep level? And if so, how? Broadly speaking, the answers have lined up on either side of the old perspective and new perspective divide. But can we move beyond this impasse? 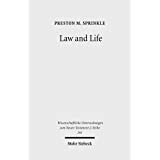 Preston Sprinkle reviews the state of the question and then tackles the problem. Buried in the Old Testament’s Deuteronomic and prophetic perspectives on divine and human agency, he finds a key that starts to turn the rusted lock on Paul’s critique of Judaism. Here is a proposal that offers a new line of investigation and thinking about a crucial issue in Pauline theology.